posted: March 30, 2015 by: * Tags: "Clinic Specials" "News"
We are proud to announce Lakeland Animal Clinic's (LAC) new partnership with Royal Canin! As a partner, LAC is providing clinical results on Royal Canin's newly approved line of diet food. As part of this new program we are offering overweight pets a free evaluation, free pet food diets, and most of all Â health benefits that will come with it! Many of us don'Ât realize how many pets are overweight. Say hello to a perfect example - Kenya, our technician's pet. She might look like a normal fluffy kitty but she is actually considered clinically obese. TRUST US, she needed to be more than fluffy to be considered for the study. YOUR PET MIGHT BE TOO. So what'Âs the catch you ask? You need to be willing to follow the nutritional program we provide you, and be willing to bring your pet in to the clinic a couple of times after the initial evaluation for progress evaluations. The evaluation period is 3 months with visits at 2 weeks, 4 weeks, 2 months, and 3 months. THAT IS IT! That is all you have to do to help your pet benefit from not being overweight. This offer is NOT LIMITED to our existing clients. If you know anyone who has a pet who could benefit from shedding few pounds, Uncle Joe's best friend Chubby, or Mom'Âs favorite ÂdaughterÂ, Big Cheeks Â tag them in! Let them know about this offer, and have them contact us to get started! This is a great opportunity to help our beloved pets get fit and healthy again! I cannot emphasize this enough, THIS OFFER IS FREE OF CHARGE TO YOU! 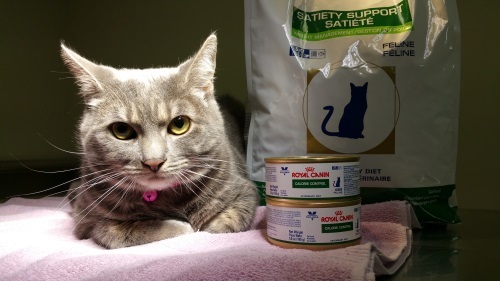 All Royal Canin pet diets as well as veterinary evaluations are included in the study. All you need to do is follow the nutritional program and show up with your pet for their progress evaluations.